WASHINGTON – In an exclusive interview with CBN News, former White House Press Secretary Sean Spicer says it was his faith in God that got him through his eventful time at 1600 Pennsylvania Avenue. 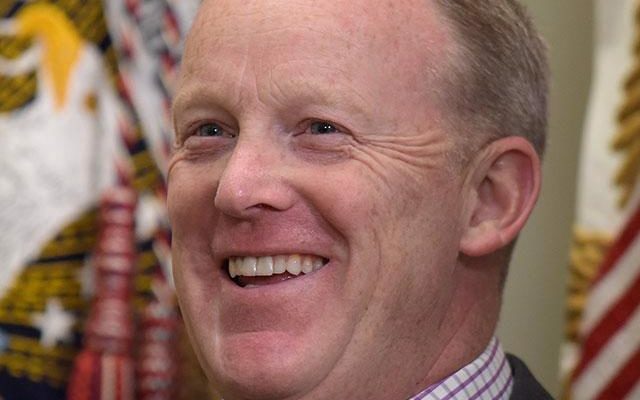 Spicer is a devout Catholic but his faith was tested, especially when he came under severe criticism from the media elite and Hollywood liberals who took shots at his credibility as he defended President Donald Trump. Spicer ultimately decided to leave the White House last July after disagreeing with the hiring of Anthony Scaramucci, the short-lived communications director. Looking back, Spicer says it all happened for a reason and strengthened his faith in the process. Nowadays, Spicer is traveling around America and parts of the world giving speeches. He has a book coming out this summer called, The Briefing: Politics, the Press, and the President. It details his time inside the White House but also delves into the importance of faith in his life.